Showing results by author "Helen Watts"
On a hot summer afternoon in 1944, SS troops wiped out an entire French village. 644 men, women and children died that day. Just one child survived. 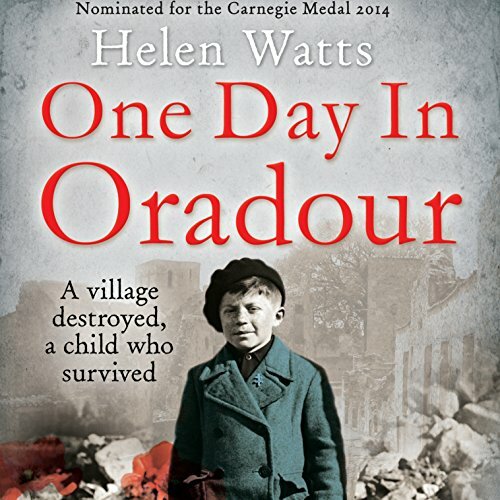 This book tells the story of what happened in Oradour, and imagines what drove both the SS officer who ordered the massacre, and the seven-year-old boy who escaped it. Powerful, moving and almost unbearably tense, this book weaves the truth about what happened to the people in Oradour into a powerful fictional story centred on two characters: the plucky, inspirational seven-year-old Alfred Fournier, refugee and resident of Oradour, and the hot-headed, power-hungry SS commander who shattered his world and changed his life for ever, Major Gustav Dietrich. As their two worlds collide, we gain a fascinating insight into the extremes and contradictions of human behaviour and emotion. With a twist in the tale, this is a story which leaves the reader surprised, inspired and profoundly moved.